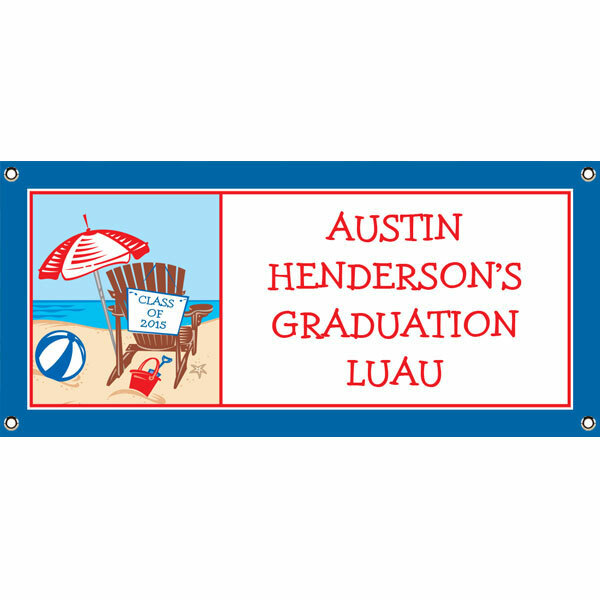 Party411.com will personalize your luau beach banner. Say Aloha! 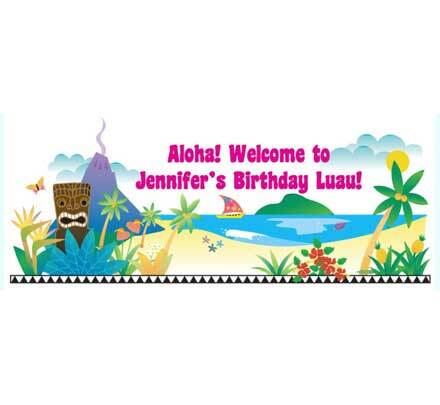 A bright party banner for any luau theme party! This banner screams a day at the beach. Flip flops are the perfect summer party theme! Easy luau party decoration with a fun tiki theme! Easy luau party decoration with a fun tropical drink theme! 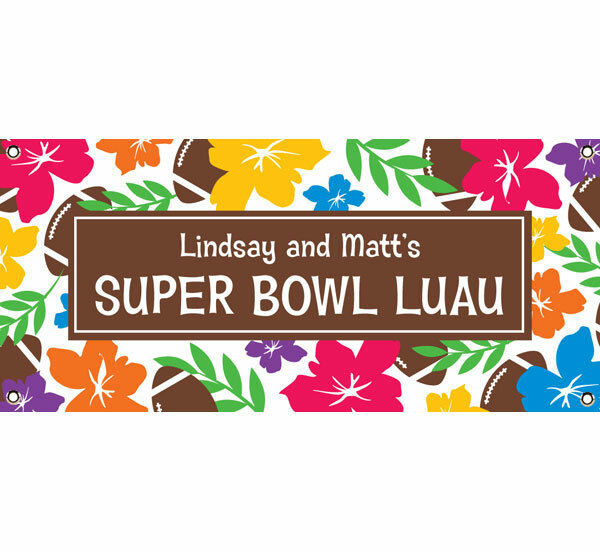 Tiki-riffic luau theme party banner with your custom wording! Show your guests the way to the pool! A color banner for a colorful graduate!